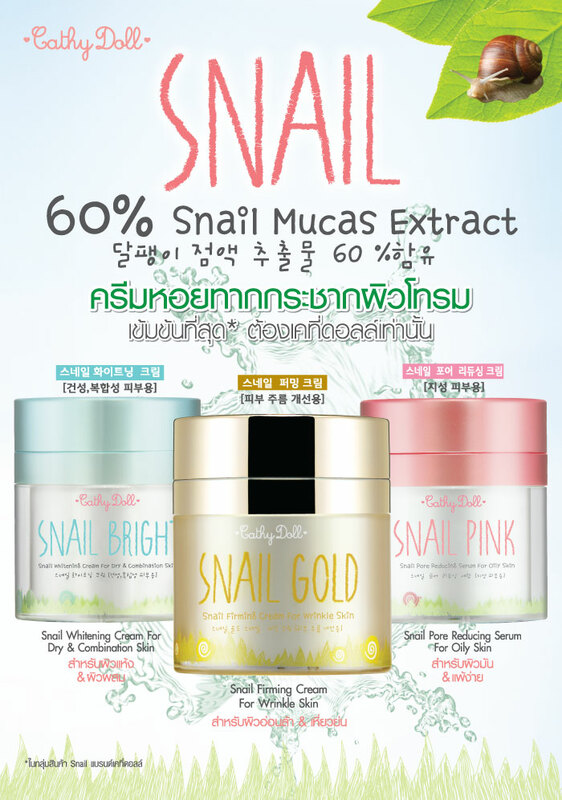 Snail Whitening Cream 50g Cathy Doll Snail Bright Snail Whitening Cream 50g Cathy Doll Snail Bright (For Dry & Combination Skin) Description- Contains the extract from snail that to moisturize & brighten the skin effectively. Brand : Cathy doll Condition : 100% Authentic brand new, Never open Total Quantity : 1 Item. Net weight : 50 ml Directions : apply an appropriate amount onto the body skin and massage till it fully absorbed.